We're always told not to play with our food, but the ingenious presentation of Josh Eggleton's pasta bake is surely a worthy exception. 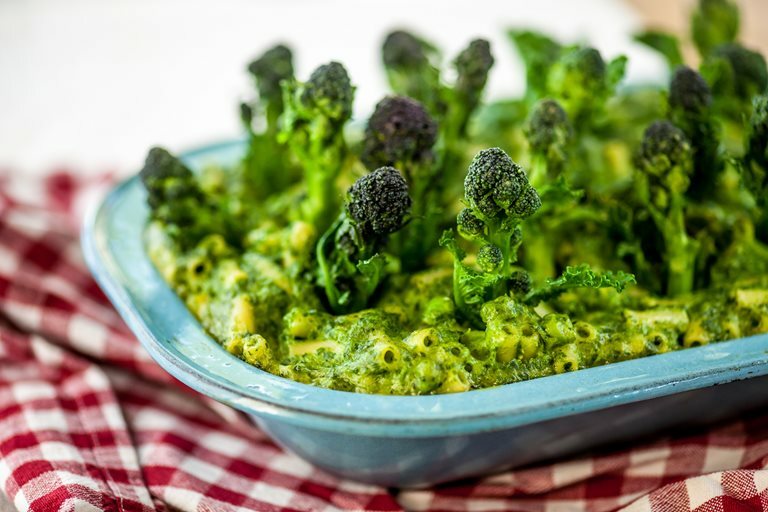 At it's heart, this recipe is a creamy, cheesy bake of penne pasta cooked in a vibrant broccoli and spinach purée, mixed with a rich white sauce. A forest of purple sprouting broccoli turns this into a something a bit more fun and magical.